Website updates! Woohoo! OK, that might not excite you as much as it does me. But the updates’ve been long overdue, believe-you-me. 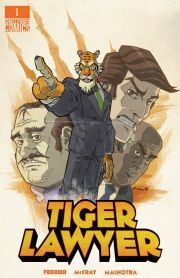 Smell that? 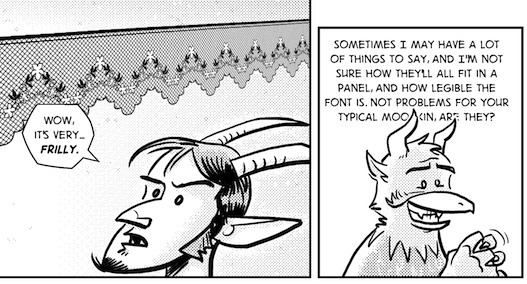 ZooDotCom is now completely PHP-free. Smells much cleaner. Plus, the site should load much faster now too. So that’s all good. But if you find any broken links, please let me know! First of all, calm down… Do you kiss your mother with that mouth? Second of all, yes! 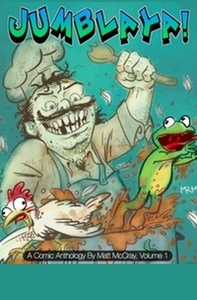 There will be new comics! There will be new short-story comics you can find at Inkwellian.com, as well as new mini-comics (from participating in MonthlyMinis.com). 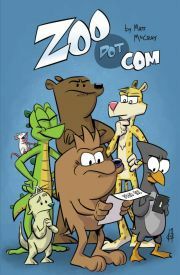 And, of course, new ZooDotCom comics as well! I’m not sure what the update schedule will look like yet, but there will be updates – of some kind – every week! And to make sure you have a good feeling about all this, I’ll part with a sketch. This is from a test page of one of the short stories that will be available at Inkwellian.com, when it’s done. Back to drawing more Turtles stuff. Wait a second! 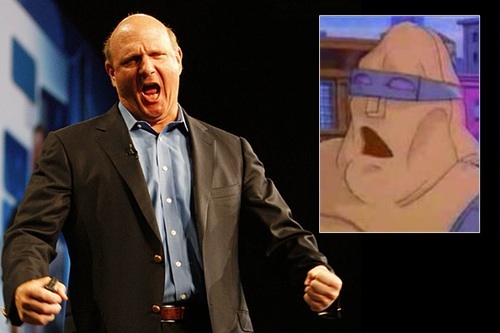 Now that I think about it, does Krang’s robot “body” look a lot like the wrong Steve, Steve Ballmer? 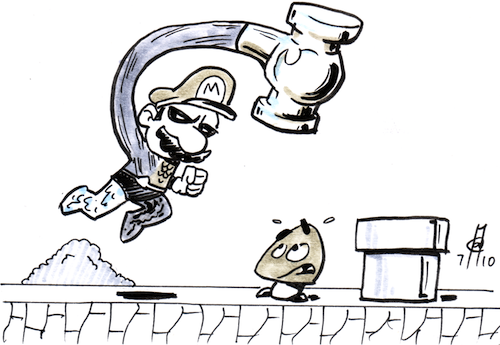 What if a certain plumber had acquired the Orb of Ra? 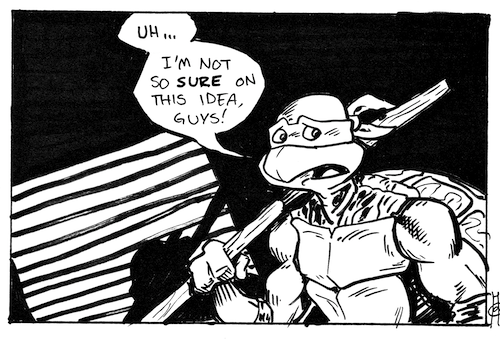 When I can’t think of anything else to draw, I’ll wind up drawing the Turtles a lot of the time. This week’s #tuesdaysketch theme was “Caricature.” I nearly skipped it. ‘Cause caricature’s have never been my thing. 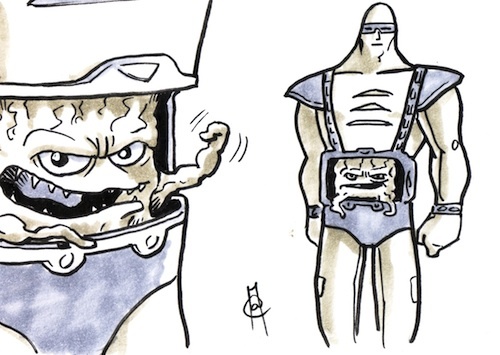 In fact, I’d always dread the (inevitable) day when my friends would ask me to draw them. But then I thought. What the hell, this is all about stretching yourself, right? 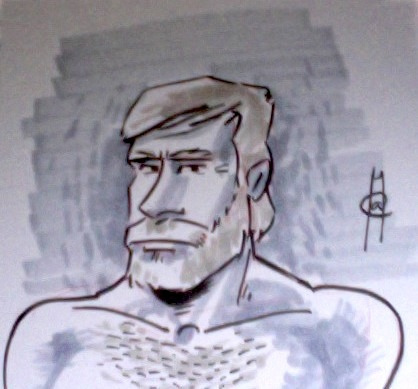 So anyway, I drew it from memory (probably should have google image searched first, but what’s the fun in that?). Feel free to guess who this is.